The Prime Minister has made the initial announcement about the path to Brexit. What form will Brexit take? In this article, we look at agriculture’s Brexit choices. This scenario involves walking away from the EU, taking control of immigration and trade policies, stop paying into the EU budget, repealing any EU laws and regulations we didn’t like. We would trade with the EU under WTO rules similar to any other country outside Europe. This would involve tariffs and non-tariff barriers. The advantage is a complete split from Europe and the instant cessation of the UK contribution to the EU budget. Theoretically, it would be possible to negotiate a free trade deal with Europe without the two year deadline of the Article 50 process. Disadvantages are potentially higher trade costs and trade barriers. Companies may relocate headquarters to Europe. This is an agreement between the EU and Iceland, Norway, and Liechtenstein. These countries plus Switzerland are members of EFTA which is the European Free Trade Association. Whilst not members of the EU, they have near full access to the single market which are tariff and non-tariff free. EEA membership excludes agriculture and fishing industries so trade deals would be required in these areas. EU contributions would continue but at a much lower level. Trade deals would be agreed with other countries and it is thought that EEA membership could be easily agreed within the two year Article 50 deadline. Pessimistic forecasters believe that EEA would reduce much of the perceived economic downside of Brexit. The UK would still have to follow EU laws relating to the single market but not political legislation. However, the biggest issue is that EEA membership requires members to adopt freedom of movement, except in exceptional circumstance. Liechtenstein has negotiated its own tailored immigration policy but is only a small country. The EEA offers an existing template and so hopefully would minimise disruption. The UK could abandon the Common Agricultural Policy and be free to pursue free trade deals with third parties. Disadvantages will include abiding by many EU policies, including freedom of movement and little scope for de-regulation. This would combine free trade while at the same time end freedom of movement. However, the EU has said repeatedly that free movement is vital to any deal. Switzerland has a bespoke deal, signed in 1972, It’s relationship with the EU is based on a number of treaties and it makes limited contributions to the EU budget. It is also able to negotiate free trade deals with third parties. Again, the difficulty is free movement. In 2014 Switzerland voted to cap EU immigration and Brussels warned it would lose some access to the EU market if it did this. This could be seen as the “having your cake and eat it” option; doing business with the EU, having trade deals elsewhere and controlling immigration. However, with the EU emphasis on freedom of movement, the negotiation of treaties is likely to be difficult. Elections will be held in 2017 in the Netherlands (15th March) France (Presidential election on 23rd April and 7th May) and Germany (federal election 22nd October). Far right parties are likely to raise immigration as a major factor in their campaigns and this may result in more flexible immigration policies being put forward to stem the popularity of these far right parties. An overage provision enables the original landowner to impose a claw back provision on disposals of land, where planning permission increases the value of the land subsequent to a disposal. 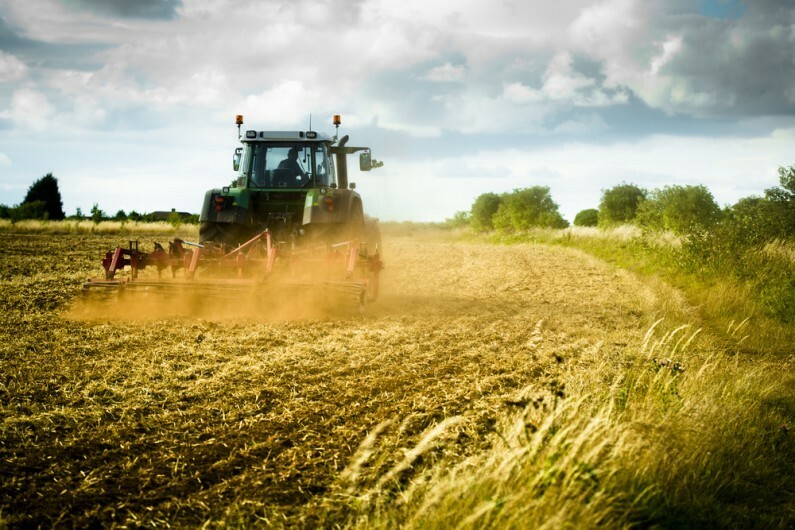 An overage provision could be triggered if planning permission is granted for the development of agricultural land. A time period would be specified (perhaps up to even 80 years). The share of the increase in value would be specified typically between 25% to 50% but obviously subject to negotiation so as not to discourage the current land sale. Overage provisions can be quite detailed and complicated because future events have to be forecast. A covenant is usually required because contracts are not usually enforceable against future owners. The RPA has met its initial BPS target by paying 91% of 2016 claims by 31st December. Its target was 90%. Andrea Leadsom (DEFRA secretary) has outlined plans for two consultation documents on the future for food and farming and the second on the environment. She also stated that a large amount of European “red tape” would be abolished when the UK leaves Europe. DEFRA estimates put the cost of this bureaucracy at £5m per annum and 300,000 hours. The Environmental Audit Committee, made up of a group of MP’s, have said that any new farming subsidy regime should have close links with the provision of environmental public goods. UK imports of Pork from the Netherlands fell by 56% between July and September 2016 according to a report by AHDB Pork. This is likely to be because of the weakening of sterling. A Farmers Weekly survey has revealed that 28% of respondents felt they would be better off post-Brexit compared with 43% who felt they would be worse off. 54% of the sample had voted to leave the EU. In an interview with Farmers Weekly, DEFRA Minister George Eustice has said agricultural policy will take shape in the latter part of 2017. The Government will take on experience of other countries around the world. Mr Eustice has said the UK must move away from direct subsidies and he also said the Government is investigating the possibility of a crop insurance scheme. The weak pound is good news for farming but the long term effects of Brexit are more important. Basic payment scheme or equivalent are expected to remain through to 2020.